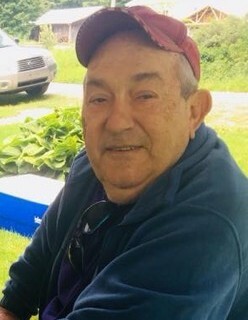 Frank C. Davis, 75, of Oliveburg, passed away Monday, January 21, 2019 at Punxsutawney Area Hospital. He was born March 15, 1943 in Punxsutawney, a son of the late Frank Cochran Davis, Jr and Anna Rita (Phillips) Davis. Frank was a 1963 graduate of Saint Cosmas and Damian School. On July 6, 1968 he married his sweetheart, Ethel Elaine McGee, together they celebrated 50 years of marriage. She survives and resides in Punxsutawney. He and his wife Ethel attended Mt. Tabor United Methodist Church. Frank worked as a maintenance man at Thermal Gard for nearly forty years. Following his retirement, he became the janitor at the Punxsutawney Christian School and was fondly called “Mr Frank” by the students and staff. He was a very active member of the Lindsey Fire Company for forty-eight years, where he was the Parade Marshall for ten years and was a founding member of the scuba team. His grandchildren were the highlight of his life, he loved children and especially adored his own. Frank’s hobbies included going to Lindsey Fire Company or Carulli’s for morning coffee, and to visit with the guys. In addition to his wife Ethel, he is survived by two daughters, Fran Shoemaker and husband Wayne of Smicksburg, and Katie Young and husband Chuck of Punxsutawney; four grandchildren, Kimberlee, Kylee and Josh Shoemaker, and Karli Young; three brothers, Jim Davis and wife Nancy of Punxsutawney, Gregory Davis and wife Fran of Creekside, and Kevin Davis and Carol Hankinson of Punxsutawney; two sisters, Kathy Liscinsky and husband Michael of Oliveburg, and Julie Smochek and husband Stan of Punxsutawney; a sister in law Elsie Snyder and husband Clay of Punxsutawney; many nieces and nephews. He is preceded in death by his parents, and a sister in law, Karen Davis. Friends will be received from 2-4 and 6-8 Friday, January 25, 2019 at Shumaker Funeral Home, Inc., Punxsutawney. The fireman will honor Frank with a memorial service at 7 p.m. at the funeral home. A funeral service will be held at the funeral home at 11 am Saturday, January 26, 2019 officiated by Pastor Doug Wolfe. Interment will follow at Old Ebenezer Cemetery. Memorial donations may be made in Frank’s memory by donating “Shoes for kids in need” by bringing new shoes/sneakers to the funeral home that will be donated to Leslie’s Closet (a local program at Punxsutawney Area high school who will provide the shoes to students in need) or Punxsutawney Area Hospital, “Patient care fund” at 81 Hillcrest Drive, Punxsutawney, PA 15767, or Lisa’s Ladybugs, PO Box 692, Punxsutawney, PA 15767.